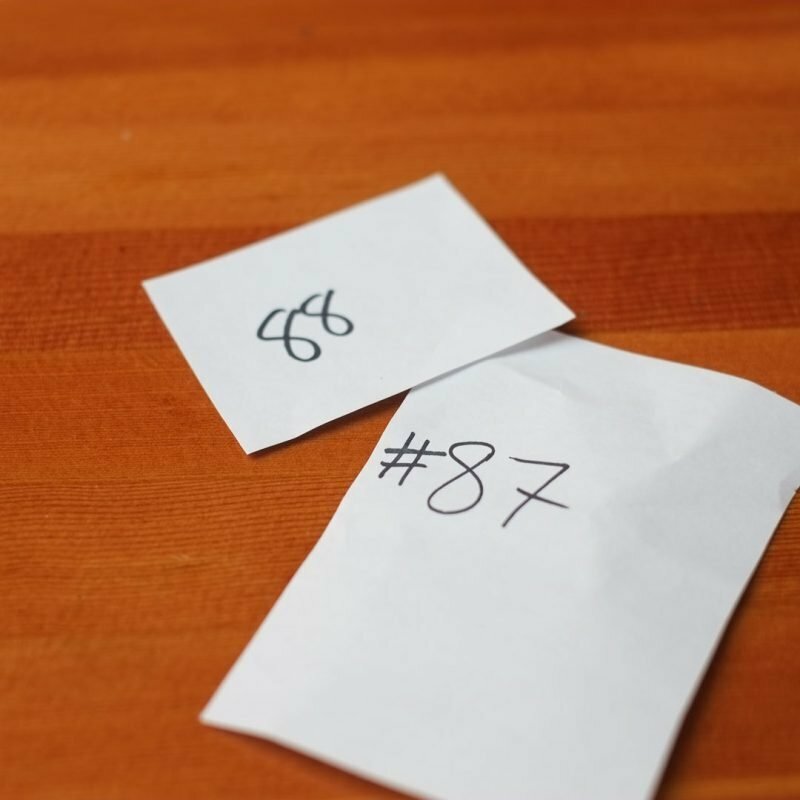 My lunch partner and I put in our orders and HE got the lucky number 88! Arg! This wasn’t here during my first visit, but was a welcome sight. 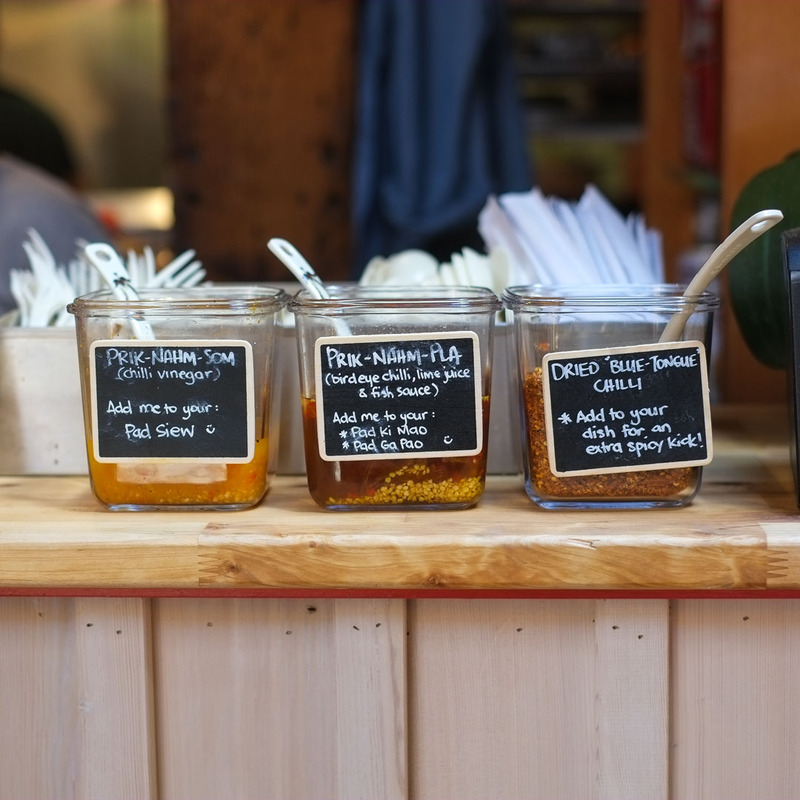 I am finding that the food here does need a certain amount of customization to suit your taste. 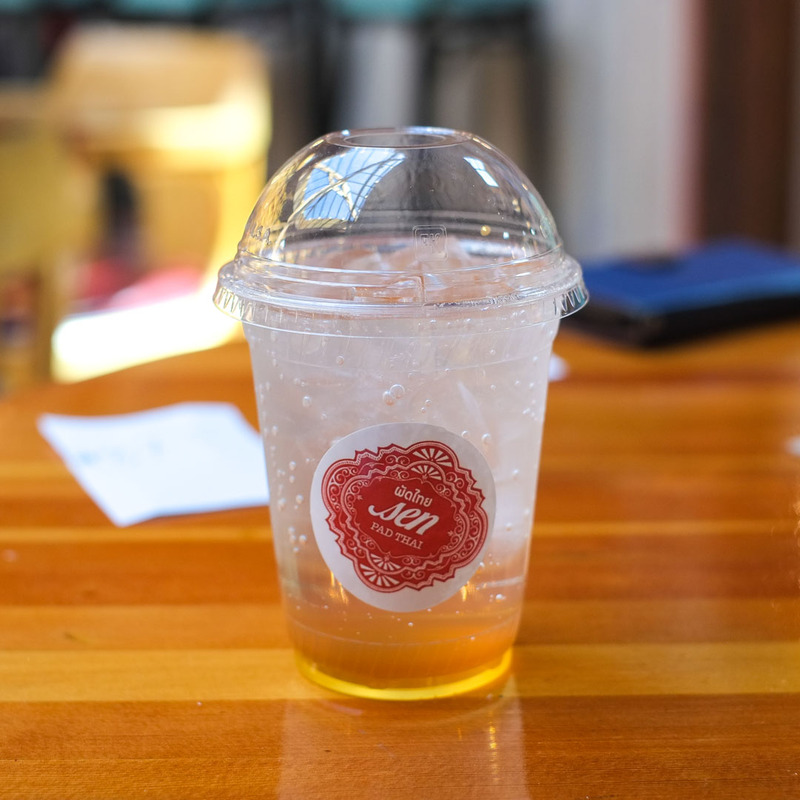 The Prik Nam Som (chili vinegar) has a bit of sweetness, which totally helped balance some of the dishes we ordered. 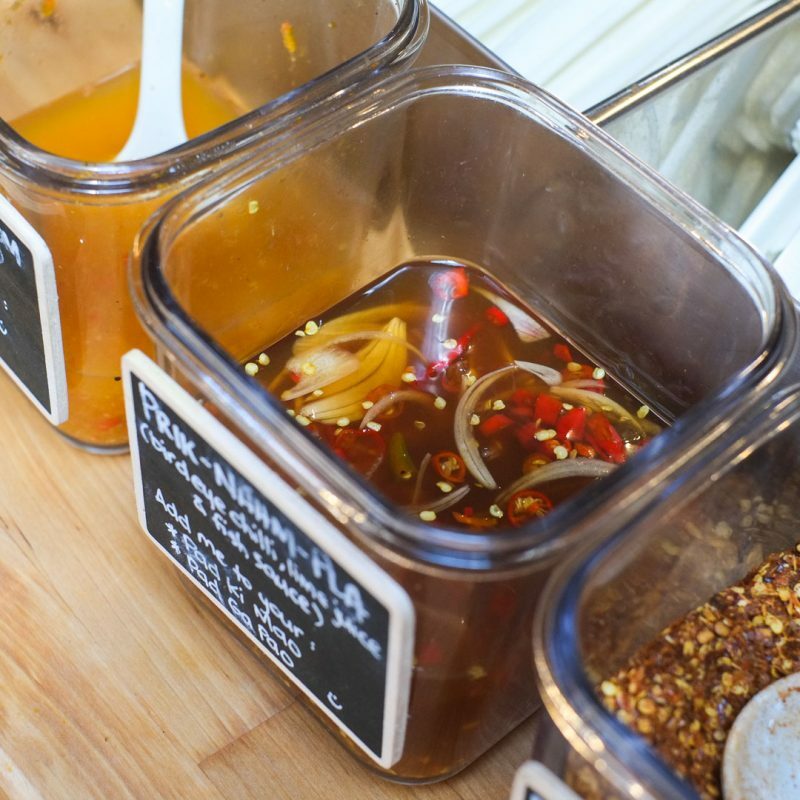 Prik Nam Pla (seasoned fish sauce) is similar to Vietnamese nuoc cham (but don’t tell anybody). 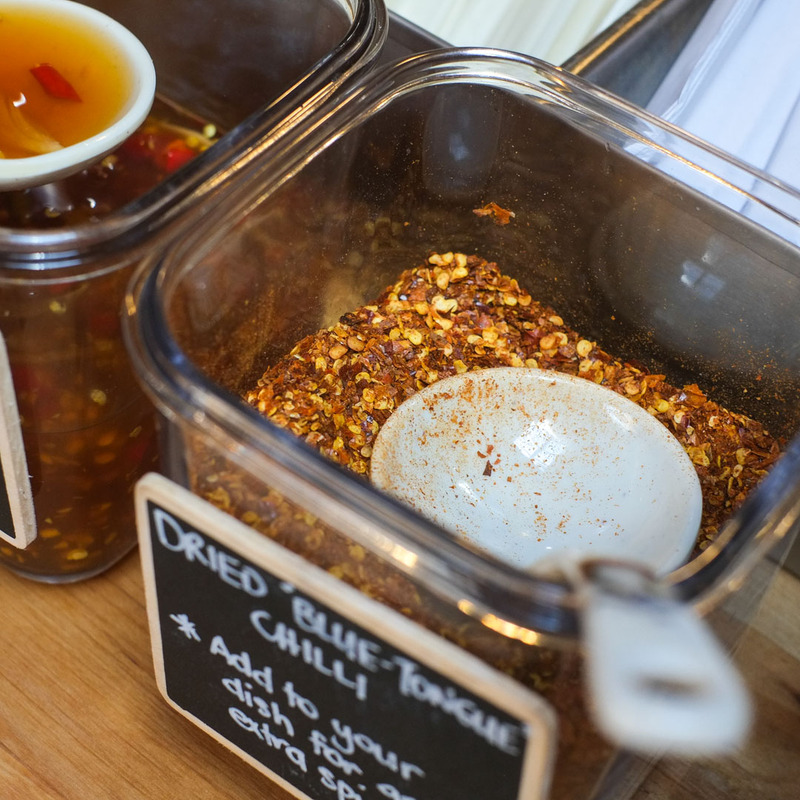 Blue Tongue Chili for a bit of heat. Pok Pok Som Apple Soda ($4). Mix well. It’s apple with a bit of funk and more than a bit of acetic tartness. Pad Pu Sen Chan ($15), special pad thai with crab meat. I’ve had the basic pad thai, the northern-style pad thai with pork belly, and now this pad thai with crab. They’re all quite different. This one uses thinner noodles, has an orangey colour, and is a bit sweeter than the other pad thais. Technically, most everything has been great (good wok hei, etc) but flavour balance is an issue. You get a couple piles of crab meat on top. There was also a bit of crab meat throughout, but not what I’d describe as “a lot”. But understandable because Oceanwise™ crab is an expensive ingredient. But the clumpiness of the noodles, the overall sweetness (reminiscent of bad pad thai that uses ketchup), and lack of depth or oomph make this a “wouldn’t order again” type dish. Funny how other Instagrammers have said that this crab pad thai is quite spicy. This one had zero heat. If a new restaurant hosts a bunch of bloggers and Instagrammers and cooks the food in a certain way (ie. spicy), people who show up later are gonna expect spicy. And when it arrives not spicy, that’s rug-pull on their most ardent customers. I’m all for transparency and consistency. 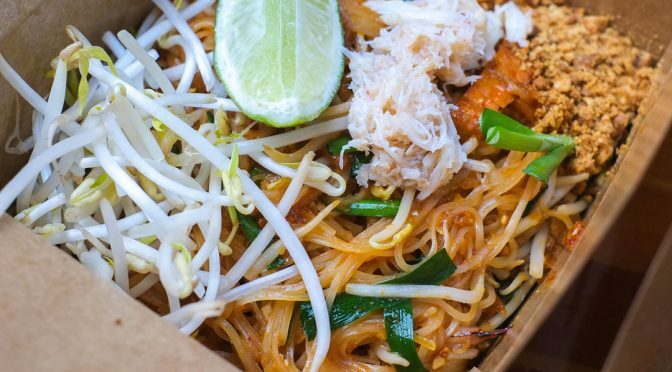 If Sen Pad Thai decided to change up the spice level because of the blogger/Instagrammer feedback, they might want to at least ask customers when they order about the spice level to make it clear and predictable. 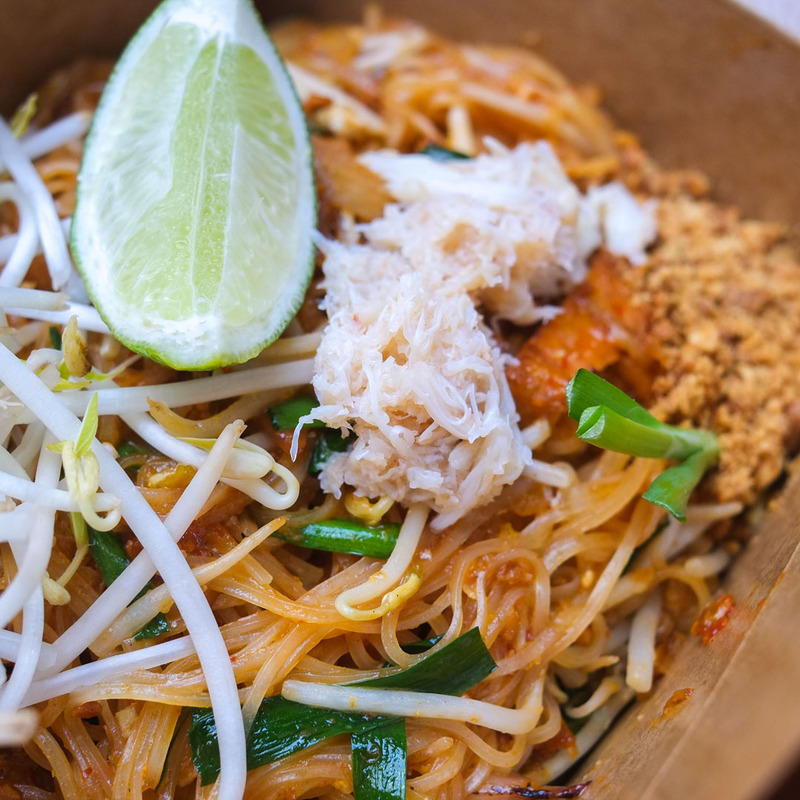 This sweet pad thai may very well be an authentic and specific kind of pad thai. But everything I’ve learned here is that the Canadianized ketchupy pad thai is an abomination that cooks had to come up with because they didn’t have access to tamarind. Having tasted this version, I prefer the tamarind-flavoured pad thai better. 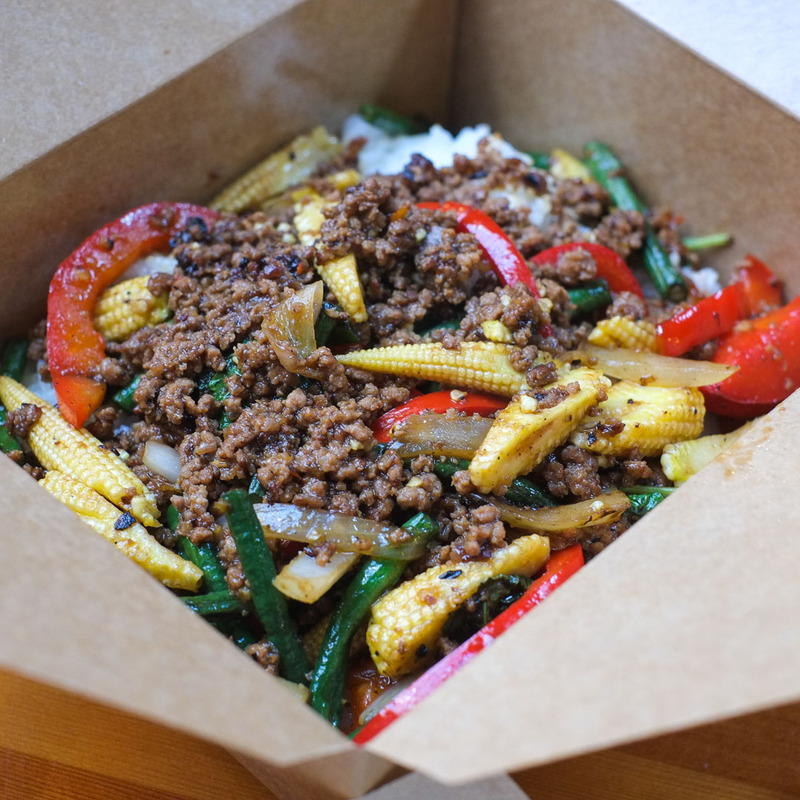 Pad Ga Pao Beef ($13), holy basil beef over rice. Finally, I get my holy basil stir fry! Having that ground beef texture with rice is such a nostalgic thing for me — any ground meat eaten with rice is comfort food for Asians (I think…Taiwanese meat sauce on rice, anyone? ). One of the few visible holy basil leaves in the dish. I really wanted a fistful of holy basil. I wanted it to punch me in the face (probably what AA wants to do to me right now). I realize that Thai holy basil is expensive, but when Thai Basil on Thurlow and Davie used to do Thai holy basil dishes like this, it was heady magical deliciousness. 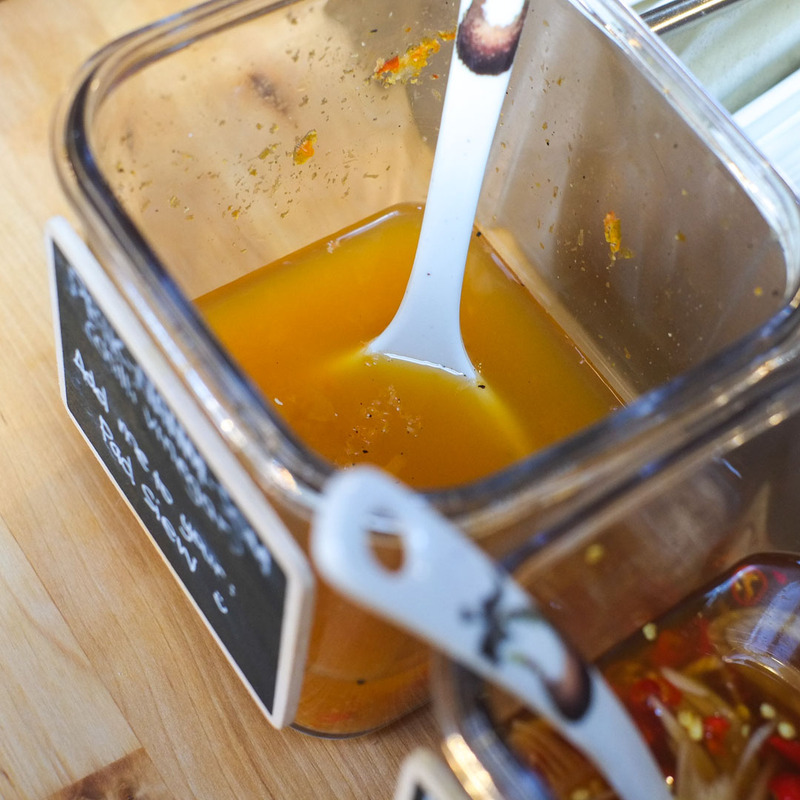 The overall flavour of this one was too salty, so I added the chili vinegar to balance it out with sweetness and acid. It’s a near knockout. Same as with the regular pad thai here (which is too tamarind-forward without enough balancing sweetness or saltiness), this dish was a bit off-kilter. 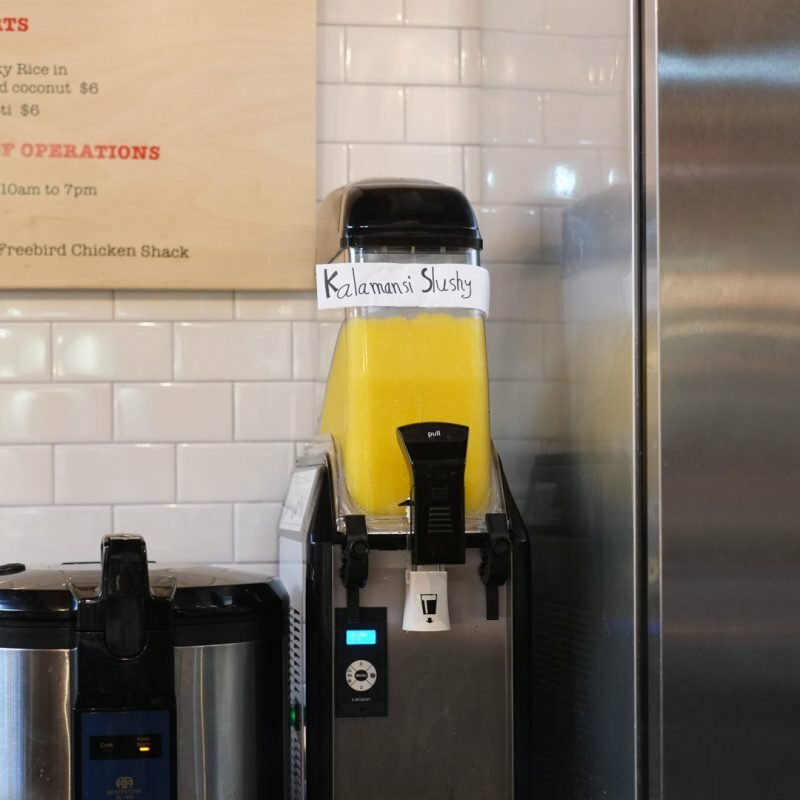 I think the staff need to taste more (if they aren’t already). I could tell from the first bite it was delicious but a bit off. I expect more from…well…the pedigree in question here. 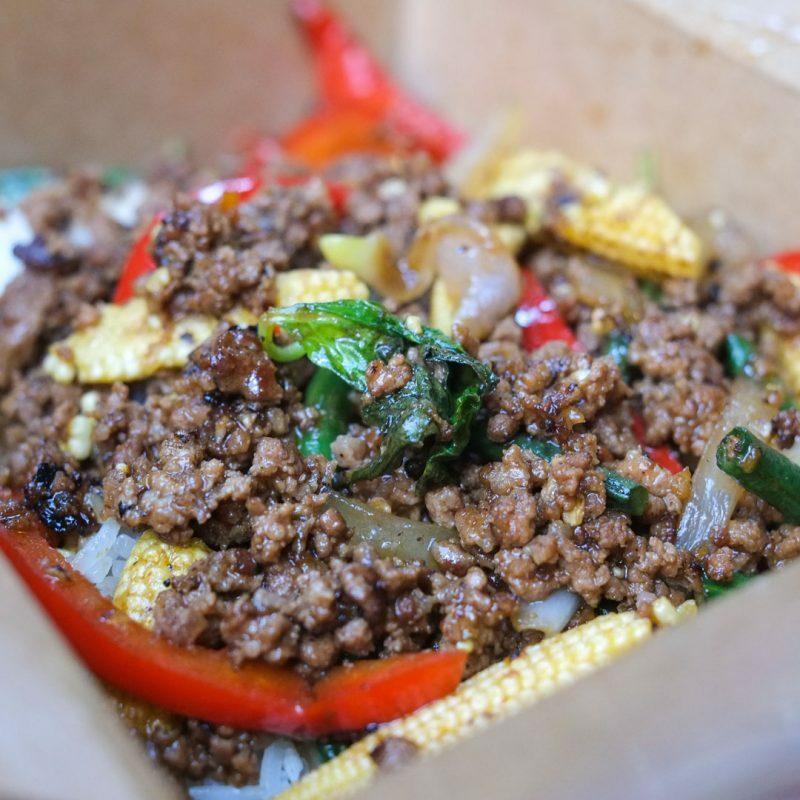 Pad Siew Pork ($12), fresh rice sheets stir fried with pork (specifically ground pork). I think menus should specify “ground pork” when it’s pork, just to avoid any surprises. Not that getting ground pork is a disappointment, just to make things clearer. The pad siew with beef at sister restaurant Longtail Kitchen uses sliced beef, so you can see why someone would assume sliced pork would be used in this one also. Aside from that menu description issue, this was an awesome dish. It tasted good on its own, and tasted great with the addition of the recommended chili vinegar sauce. 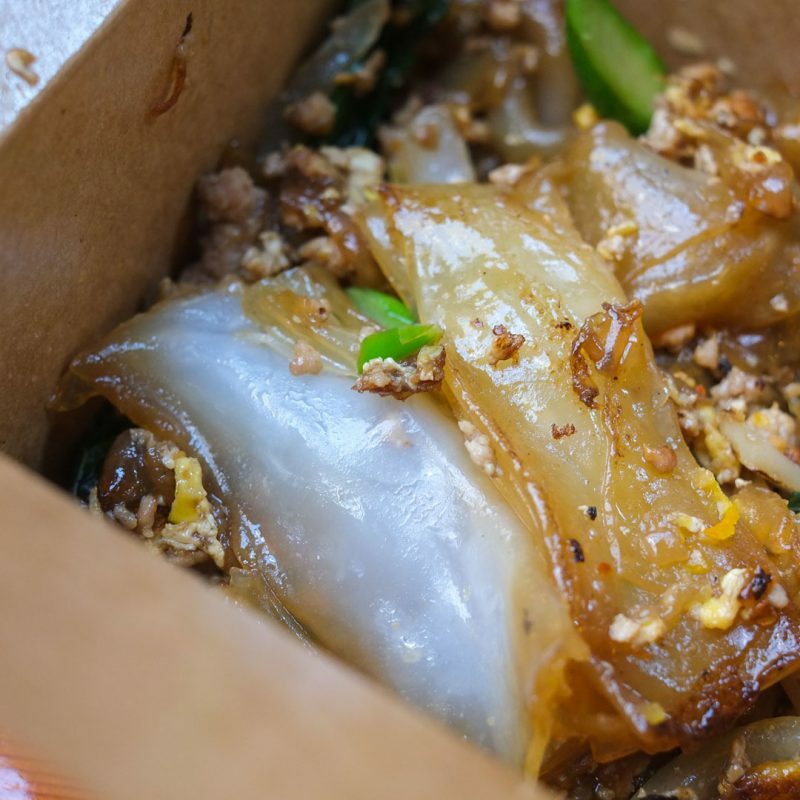 The star are the “fresh rice sheets”, which are similar to Chinese rice noodles (chow fun), except a fresh, stretchy, eerily translucent version. Visually it looks way overcooked, but did not taste overcooked at all. Such a textural delight (cliché alert!). Would order again. Would try the beef version. 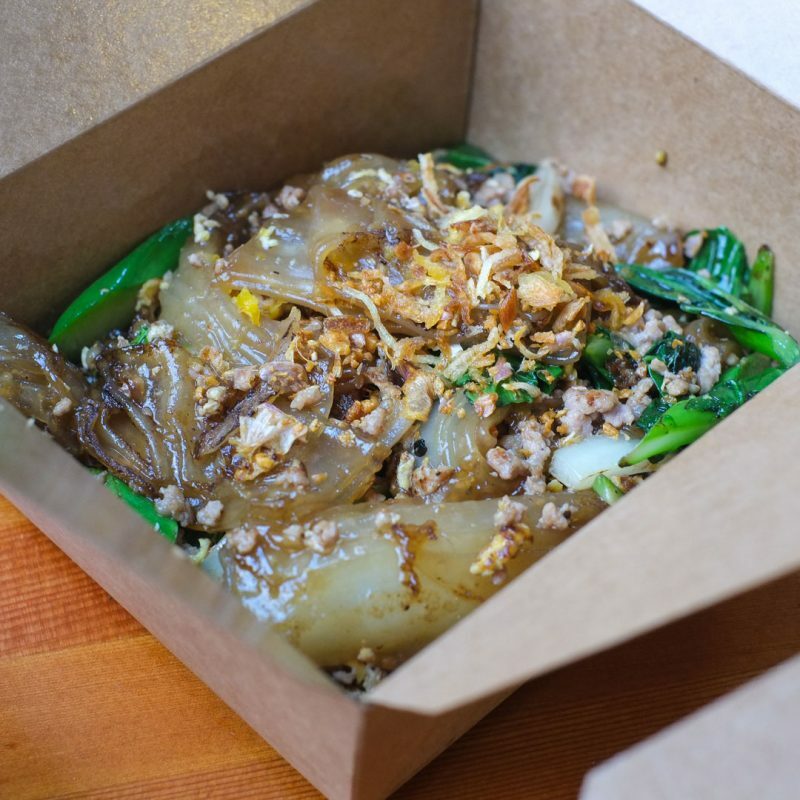 Would try the Pad Ki Mao dishes that use the same rice noodles. The best dish we tried. 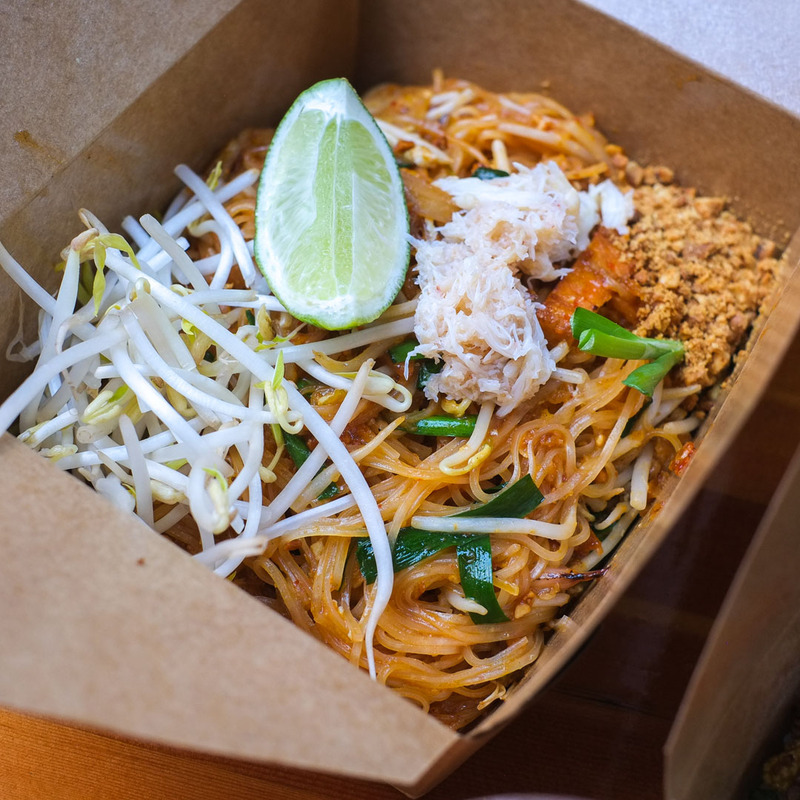 Even with the unbalanced flavours with some of the dishes at Sen Pad Thai, I still think it’s a great place to have in Vancouver, and especially Granville Island. They just need some tweaks and a little more attention paid to the details.